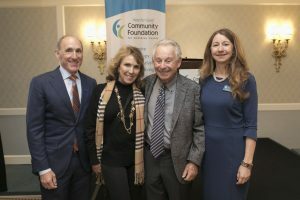 The Legacy Society honors those who have made the important decision to name the Community Foundation for Monterey County (CFMC) in their estate plans to benefit the nonprofit(s) of their choice. 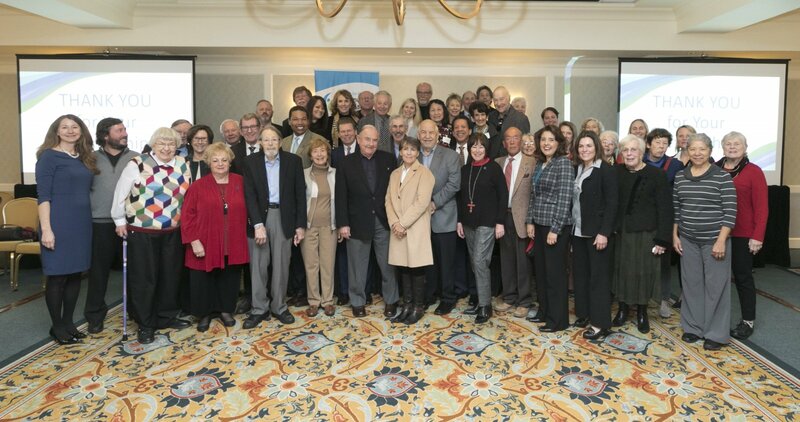 This year more than 175 Legacy Society members and friends gathered February 5, 2019 at the annual Legacy Society Luncheon to hear how their partnership with the CFMC makes a tremendous impact. President/CEO, Dan Baldwin gave a first look at recent accomplishments while pointing out the importance of legacy giving to the CFMC’s work. 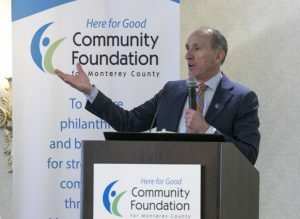 Many donors have trusted the CFMC to fulfill their charitable intent, including Charles de Guigné, a fourth-generation California native and former vintner, who left a unique nine-acre Pebble Beach property, located on Sunset Point, to the CFMC. Charles met with Dan Baldwin and Christine Dawson and he instructed the CFMC through his estate to sell his family home to benefit his chosen causes. The transaction was complex, and the property is currently listed for sale. Other donors include the late Capt. Cyrus Fitton and his wife, Jean Fitton, who both passed away in 2017. They each had their own philanthropic vision. Captain Fitton established the Cyrus F. Fitton Fund which is to be used “to enhance the lives of Monterey County residents who have become the objects of misfortune by forces or conditions beyond their control.” Jean’s estate created the Jean P. Fitton Fund, which will be used “to enrich the benefits of elementary, middle and high school classroom teachers of merit and commitment in Monterey County.” The CFMC will ensure that their vision is realized. 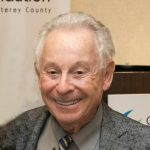 Legacy Society member Martin “Marty” Wolf shared his story of learning his nonstop work ethic from his father, Morris, who at the age of 17 came to the US from Poland with no money and a burning desire for opportunity. “He didn’t speak a word of English so he enrolled in the third grade to learn the language, he joined the Army which gave him a path to citizenship,” Wolf said. His father used $600 Army discharge money to buy a hand-pump gas station in Vancouver, Washington, went on into the auto parts business and ultimately ran a successful home appliance store that Wolf grew into a large nation-wide business. Wolf is an accomplished pianist who sits on the board of directors of the Monterey Symphony. He also sits on the Leadership Cabinet of his alma mater Willamette University School of Law. Read more of Marty’s story. The CFMC appreciates all who have partnered with us in this significant way. If you would like to learn more, please contact Christine Dawson, CFMC Vice President of Philanthropic Services at (831) 375-9712, or click the link below.